The original Get Your Tail on the Trail program was launched in May 2013 by St. Luke’s University Health Network (St. Luke’s) and Delaware & Lehigh National Heritage Corridor (D&L) to connect local residents to the outstanding opportunities along nearly 165 miles of D&L Trail and the growing trail network of the region while increasing health awareness and improving the health status of the community. The first 165 Mile Challenge attracted 2,455 participants in just six months and far exceeded expectations for success. 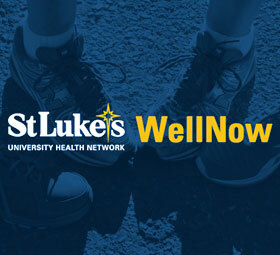 Over the next few years, St. Luke’s and D&L began to receive inquiries from health and trail organizations about creating affiliates in other regions. In 2018, to celebrate the 5th anniversary of the continuously growing program, St. Luke’s and D&L worked with Pennsylvania Environmental Council (PEC) and City of Wilkes-Barre Health Department to create the first chapter of Get Your Tail on the Trail! The Northeast PA Chapter closely mirrors the extent of the Pocono Forests and Waters Conservation Landscape, locally run by PEC, which provides abundant opportunities for people to GET OUT AND GET ACTIVE by exploring miles of land and water trails and acres of expansive State Parks and State Forests. 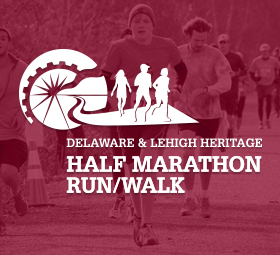 The original chapter, referred to as Delaware & Lehigh, focuses on four Pennsylvania counties (Bucks, Carbon, Lehigh, and Northampton) and the Northeast PA chapter covers five Pennsylvania counties (Lackawanna, Luzerne, Monroe, Pike, and Wayne). We hope the program continues to expand. 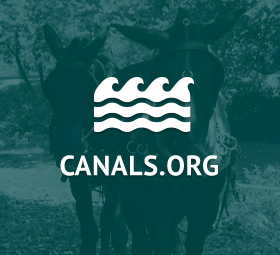 New registrants for Get Your Tail on the Trail are assigned to the appropriate chapter based on their mailing address but everyone can access events in all chapters and information about all chapters here. If you do not live in one of the existing chapters, you will be assigned to the Delaware & Lehigh chapter until a chapter forms in your region. Are you in a region without a Get Your Tail on the Trail chapter? St. Luke’s and D&L are interested in working with trail and health organizations across the country to expand this nationally-recognized program. Here is some information about the chapter process and we invite interested organizations to use the website Contact Us form to get in touch with our organizers. An organized, accessible database of registrants for your chapter – name, contact info, health questionnaire responses, exercise miles and time. Includes log-in access for a Chapter Manager from both organizations (health and trails) to pull data and see real-time statistics like number of registrants, total miles logged, etc. A section of tailonthetrail.org devoted to your chapter with six separate webpages (Chapter Home, Current Challenge, Past Challenges, Chapter Events, Trail Resources, Sponsors). Includes content editing capabilities for a Chapter Manager from both organizations (health and trails) to add events, change text and photos, add new challenges, etc. Guidelines and rights to use Get Your Tail on the Trail logo and Tail on the Trail-Approved logo in marketing materials. Each chapter requires joint-coordination from one health organization and one trail organization and a designated region defined by county boundaries. Organize online, “go at your own pace” mile challenges for at least 200 days of the year. All public events hosted by Get Your Tail on the Trail should be posted on the Tail on the Trail website and free to attendees. Keep events and challenges focused on getting people outdoors for exercise and additional benefits: fresh air, increased mental health, finding new trails and parks, exposure to nature and history and more.